The best holiday travel tip of all time? Arrive early at the airport. The second best tip? Use Google Flights to avoid busy airports in the first place. 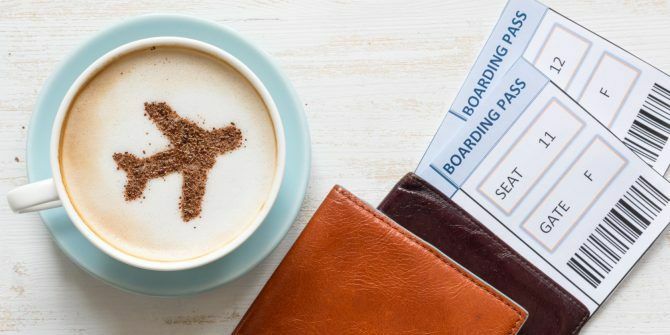 Get familiar with some timely Google Flights tips 9 Google Flights Tips That Can Change How You Travel 9 Google Flights Tips That Can Change How You Travel Google Flights helps you make the right choice for the best travel experience. Just like any of Google's search tools, there are tips to use Google Flights well and pitfalls to avoid. Read More because holidays like Thanksgiving and Christmas are among the worst days to travel (and much more expensive too). That might not fit your travel plans. So what’s the next best thing you can do? A simple shift in Google Flights can help you swap busy airports for less busy ones. Just view alternate airports near your destination and pick one that fits your travel plans. Dates: Explore the dates with the best fares. Airports: Show fares for alternative airports. From the Insights tab, you can see how your fare would change if you flew on a different day, chose a different airport, or booked at a different time during the day. Google Flights Insight is rolling out to the desktop too. Until then, you can use the Nearby Airports option in the dropdown for selecting a cheaper or less busy airport. The flight route map changes to reflect your choices. Thanks to Google Flights, you can choose an alternate (often cheaper) airport for both your departure and arrival. Holiday travel plans should start early to save time and disasters. Have you started yours? Did Google Flights or any other tool help you out last year? Explore more about: Google Flights, Travel.